Also all the usual keybindings apply for the gtk text edit widget, thus bindings like Ctrl + C, Ctrl +X, Ctrl + V, Ctrl + A etc. work as expected. 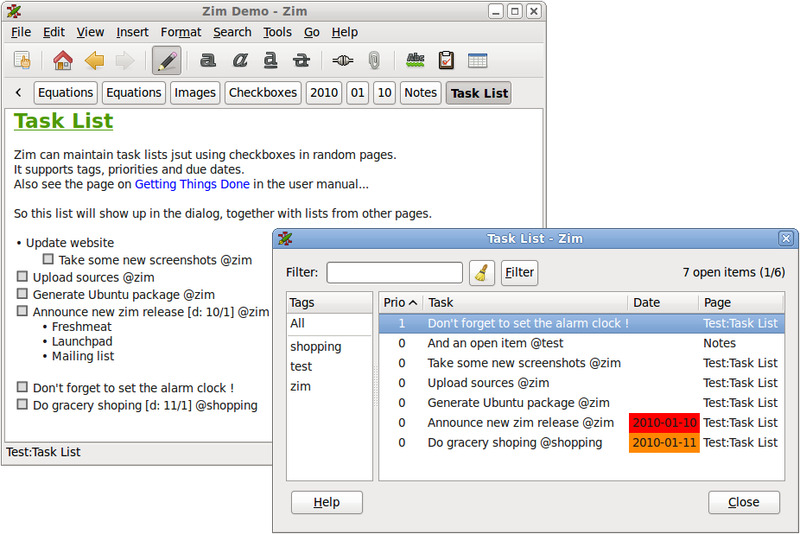 Zim is a wiki-style text editor for desktop. Each wiki created with Zim can contain some basic text formatting and links to other pages. It is a free software licensed under GNU General Public License. What is your favorite Zim hotkey? Do you have any useful tips for program? Let other users know below.